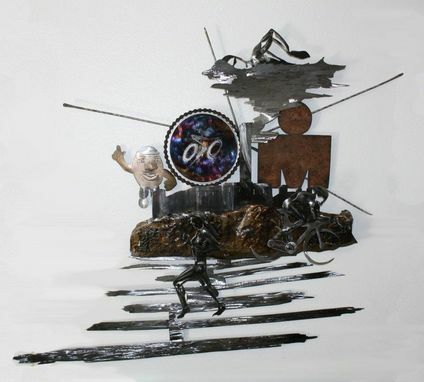 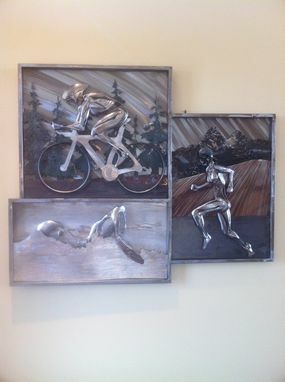 Here are several versions of the Triathlete sculptures. 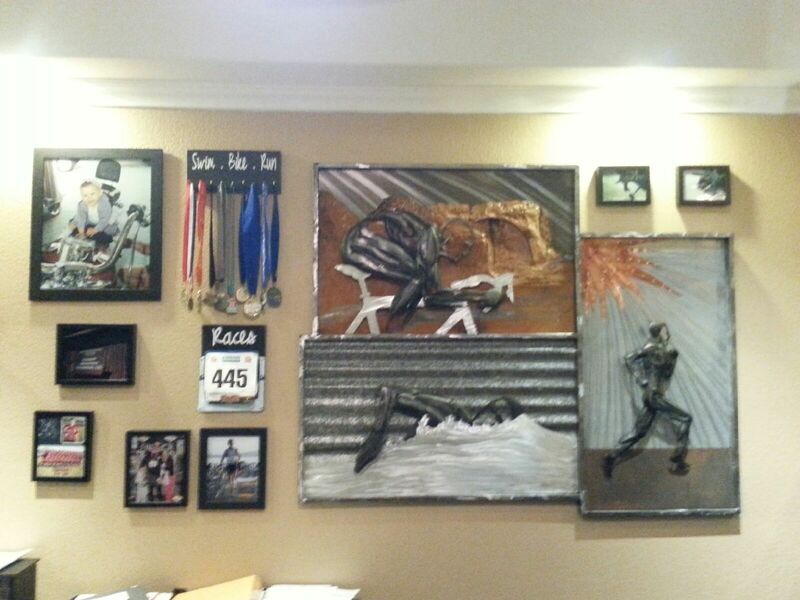 Most are done in steel, and some have other various metals. These are intended to adorn the wall of the Triathlon enthusiast. 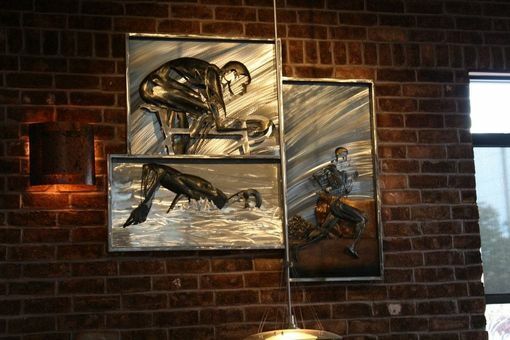 All are done in the abstract anatomy styles for the figures, and many various backdrops have been applied. 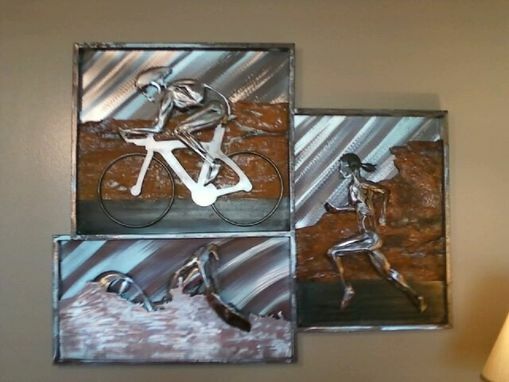 Lets sculpt a runner, biker, swimmer in your own favorite race setting!